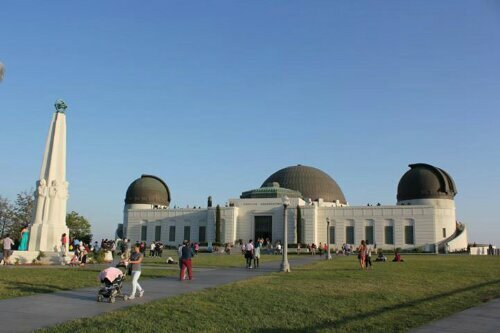 Whenever I go take other people to places I’ve been to in California, I’m always gravitated towards touring them to Griffith Park. It’s an hour and a tad more minutes from Ventura. It’s building is cool-looking. It’s kids appropiate. It has the Hollywood sign. 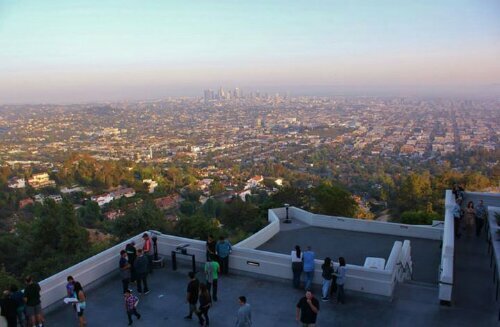 You get to see LA’s cityscape from the top. 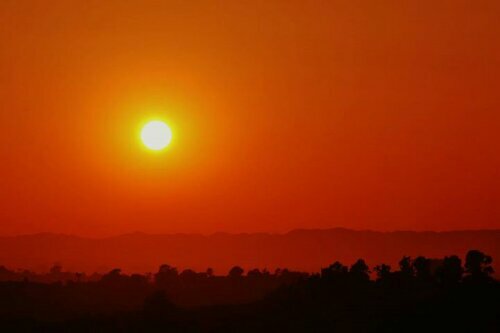 It has one of the best spots to see the golden California Sun. To top it all off, it’s free! We spotted an astronomer who was preparing his telescope out in the middle of the park’s ground. He was fixing to locate Jupiter. And we got the chance to see it up close through athe telescope. He even said that it is visible with the naked eye. Problem is, you just need an expert who know where and when this grand planet is going to be at. When I was driving back from up North down to Ventura, I was in a sticky situation of whether to stop here or not. Somewhere near San Luis Obispo’s Mission is … dum dum dum … Bubblegum Alley. That’s right! Two walls filled with sticky and icky bubblegums glued to it. The amount of rain we have here today amounts to nothing compared to all the saliva grossly welded into those walls. More disgustingly so is how people stick other more repulsive, ghastly stuffs to it. Did you see it? A real yucky and ew moment. That’s it for the first Throwback Thursday and the second Side Trip post. I’ll leave you with this FB throwback picture. 102. Let me introduce to you magiecrystal, a true travel writer. Though her hometown is San Francisco, she goes out travelling to different parts of the globe. Check out her seasoned explorations from the sweltering heat of Asian countries to the cold winter in Paris. Her Spain posts are my favorites, but you got to see her California post Yosemite, the Girl Next Door. Ah, Griffith Park, where it was confirmed that the universe is truly vast and far exceeding my post-adolescent notion of scale. And, there I learned the capacity of our hearts is as vast as the universe….but, that is another conversation. Bubblegum Alley, new to me – can’t wait to visit when next in LA. 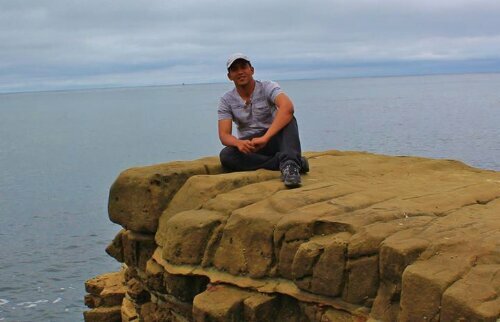 Thank you for testifying that you really are a true travel writer. 😀 It’s easy to take a quick stop to Bubblegum Alley so if you happen to drive down South maybe this tiny piece in SLO might interest you. California is a grand place, but I’m a little biased. North and south, it’s all wonderful. I would say so myself. You did grow up to be a handsome fellow. Only a few might say. Thanks Debra. Always a pleasure having you here. Not many views like that for free nowadays Rommel ! I think I could miss that free one down that alley way mind ….. So many inCali though which I love so. I can defintely drive around all day, see awesome sites, and only pay for parking and gas. But yeah, Cali is still an expensive state to be in. Great view is right! Never fails when you’re in Griffith Park Observatory. I know. It was nice having not to go to work. But it’s killing me to be inside my room for so long. My feet is getting itchy. Come out my precious Sun. Great view of the park. Awesome sunset shot! 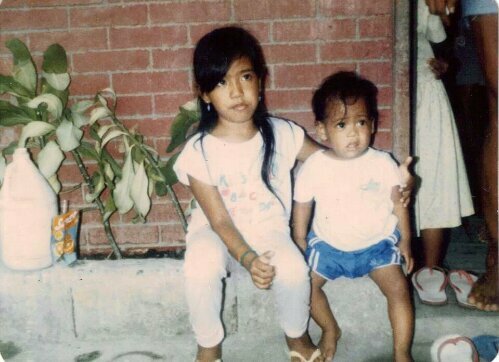 The pic of you and your sister(?) is precious. Thanks for sharing with us! Yeah, that’s me and my sister. My sister, anyone who knows her can still distinguisher her. Me, I look absolutely different from that pic. I believe Bubblegum Alley may be a copycat. From what I have read, the famous wall is in the area of Pike’s Place Market of Seattle. This wall is even in the History of Gum that I use to read with my students. Either way both are totally gross! I turned to my friend, Wiki. Wikipedia said the one in SLO dates back all the way to possibly 50’s, if not 1970’s. 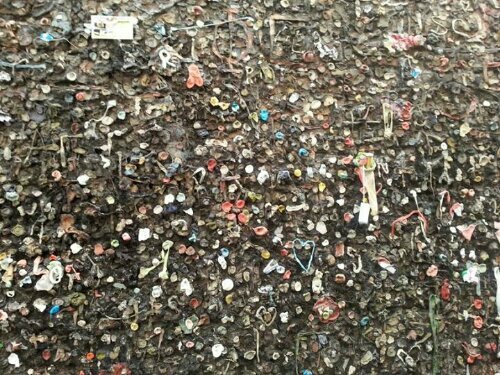 If even said that the Gum Wall in Seattle is similar to the one in SLO, and not the other way around. 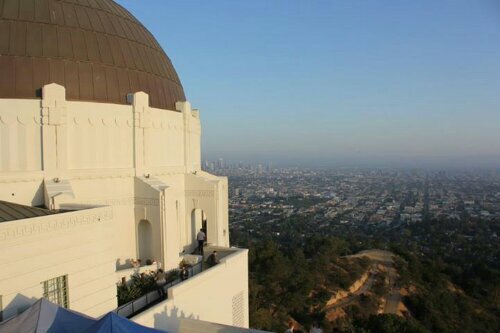 The Griffith Observatory… since it was renovated and expanded a few years ago it is twice the fun! So many interesting places to visit in LA and all people want to do is see Hollywood Boulevard, which is definitely the least interesting in my opinion…. but seeing the Hollywood sign from the observatory is pretty cool! Agreed. 2 years and a half in Cali, I didn’t make it to any of the Hollywood tours. I probably would do when I return to states. I guess it feels customary if you’ve been to Cali. There are some awful things there that are completely not age-appropriate!!! But yeah, I saw a lot of kids and youngsters passing through it. Wow! I never knew it was can be visible from us til I got to Griffith Park. Jupiter’s enormity is fascinating. I remember goinh to a planetarium during a field trip and was a wide-eye kid then. I went to the planetrium inside Griffith, and even as an adult I still get so amazed by the space. Cool icon with the shades. 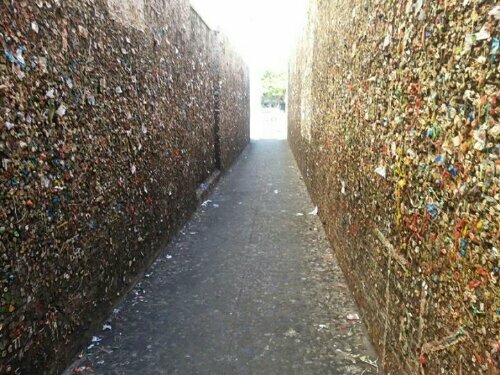 😀 If you happen to drive there in central coast in California and decided to go to Bubblegum Alley, better “stick” to that plan. 😀 It is a nice tini-tiny side trip that is not to far from going back to the main highway. 😀 When I was making the post, I was torn between stud muffin or beef cake. 😆 I decided with a simpler one. I hope you left a piece of your stud gum on the wall! For others to goo over. Heh. 😆 😆 It ended up being just heavy rains and strong winds. I had more scarier weather than what we had last week here. Always a pleasure seeing your comments.